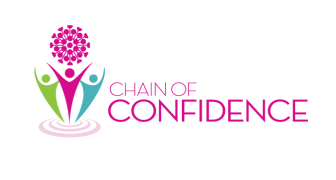 WE HOPE YOU WILL HELP US SPREAD THE POWER OF CONFIDENCE BY JOINING THE MOVEMENT TODAY. SHARE YOUR OWN STORIES OF SUCCESS, OVERCOMING, HOW YOU GOT YOUR CONFIDENCE OR WHO INSPIRED YOU TO FIND IT. HOW DO YOU KEEP YOURSELF MOTIVATED AND RESILIENT, OR HOW DO YOU HELP OTHERS DO THE SAME? REMEMBER…EACH LINK IN THE CHAIN CAN HELP CHANGE A LIFE! CONFIDENCE IS CONTAGIOUS…HELP US PASS IT ON!